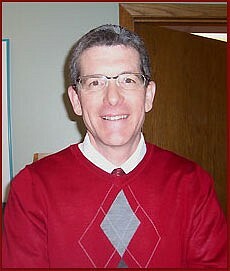 Dr. James W. Appel D.C.
Hi, I’m doctor James Appel and I‘ve been practicing chiropractic since 1980. I became a chiropractor after being helped by a chiropractor while in high school. I had been in a motorcycle accident and suffered a spinal injury. After trying traditional medical treatment for over three years and with absolutely no results, I found chiropractic care, which literally gave me my life back. I was convinced that a chiropractic career was my calling in life. My strongest attribute is my understanding of neck and back problems and how to quickly and successfully resolve these problems. I have been involved with spinal rehab and strengthening for over 32 years. During my entire career I have utilized Cox flexion distraction technique. This technique enables me to treat difficult spinal conditions. I have successfully treated patients that have had four lower back surgeries and six neck surgeries. Most recently I have treated four patients that have surgical instrumentation with rods. The results were good. Nutrition and natural health care have been a part of my practice since the beginning. Many of the natural supplements and practices that are popular today I have been using to help patients since my first year in practice. I feel confident that you will feel comfortable with the treatment you’ll receive at Appel Chiropractic.